A few years ago, Portugal was a vegan’s worst nightmare. Most Portuguese dishes contain either meat or fish, and to not include either is pretty much unthinkable. Even soups like Caldo Verde, which is mainly made of cabbage and potato, includes a few obligatory slices of chouriço. Then there are the cakes and pastries, which not only include eggs and butter as part of the standard recipe but also doce de ovos as the filling (a Portuguese-style egg custard). Times have changed, though. Although the concept of veganism (and even vegetarianism) is very new to Portugal, it has been embraced with gusto. 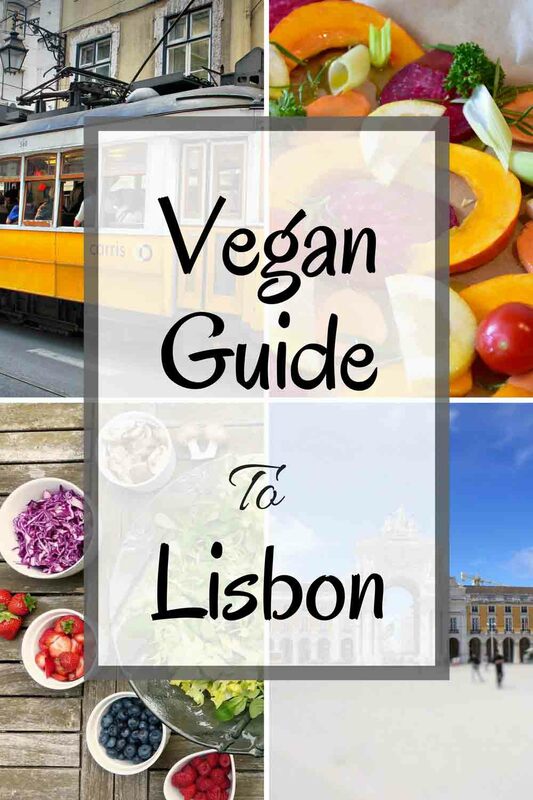 As of 2017, Happy Cow counts at least 15 different vegan restaurants in Lisbon – and that’s not including all of the vegetarian restaurants or restaurants with vegan-friendly options. Considering most people visit Lisbon for a long weekend, that’s almost enough restaurants to visit without having to double-up. There are a couple of hotels and bed and breakfasts in Lisbon that offer a vegan-friendly breakfast. Inspira Santa Marta Hotel (from €110) – Situated just off of Avenida de Liberdade, this upmarket eco-hotel offers boutique accommodation that’s decorated according to Feng Shui principles. The hotel will happily cater to vegans on request, and their on-site Mediterranean restaurant offers an excellent selection of vegan, vegetarian, and lactose-free dishes. .
Casa do Mercado Lisboa (from €80) – A boutique B&B that’s located in Cais do Sodré near the popular Time Out Market, Casa do Mercado Lisboa also runs an organic and bio restaurant, and happily caters to vegans at breakfast time. Alternatively again, you could have breakfast at a vegan-friendly café. Instituto Macrobiótico de Portugal – Serves vegan lunches, and has a shop selling a small selection of health food products (map). Many of the organic supermarkets mentioned above also have a snack bar, ideal for light lunches and snacks. Puro Bio has a snack bar as does Biomercado, while Miosótis has its own restaurant and serves both vegetarian and vegan meals. The following restaurants focus on vegan and vegetarian buffets, with dishes that change daily. Vegan restaurants are great, but sometimes it’s easy to feel like you’re missing out on discovering a new cuisine. Thankfully, there are a few places dotted around Lisbon that offer vegan alternatives of traditional Portuguese dishes. The bifana is a pork sandwich that’s available as a snack in cafes all over Portugal, and AO 26 – Vegan Food Project offer a vegan Bifana that’s made with Seitan. Originating in Porto, and typically containing more than 3 types of meat, the francesinha is normally anything but vegan. Thankfully, Ao 26 – Vegan Food Project offer a vegan alternative. Although Feijoada usually contains pork, Veganeats offers a meat-free alternative that’s perfect for vegans. A Portuguese sausage that’s traditionally made from just about any meat as long as it’s not pork, this is available in vegan form at Veganeats. Sweet rice, or rice pudding, is a Portuguese sweet that typically contains milk and eggs but Terra offer a vegan-friendly version that uses lactose-free milk. Queijo de Figo: More common in the Algarve, this cake is made from figs, almond, and spices. Marzipan sweets: Many pastelarias sell marzipan sweets that are usually made from just ground almonds, water, and sugar. Baked chestnuts (castanhas): In Autumn, you’ll often see stalls by the side of the road selling these. Ginjinha: A sweet alcohol made from Ginja berries. Port: Dessert wine from Porto. If you’re self-catering in Lisbon, take the opportunity to shop at one of the many fresh fruit and vegetable markets in Lisbon. With over 300 days of sunshine in Lisbon and the Algarve, Portugal has optimal conditions for growing fruit and vegetables. And, because most people still shop at the market, you’ll find that the prices are very reasonable as well. Mangos (check to see where they come from, as many stalls will have mangos from South America). 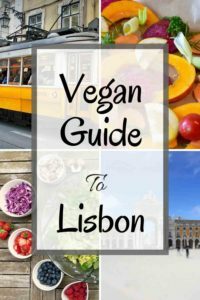 Have you uncovered any vegan delights in Lisbon? Let us, and other Portugalist readers, know by sharing your comment below. This is a very helpful site. Im going to the vegan festival on the 28th April with a large group of people. I shall take this guide with me, thank you for sharing. https://www.facebook.com/lisbonvegan offers a vegetarian buffet. You should check this out.